Francis Jordan Catholic School is situated north of Ocean Reef, in the Northern Coastal Region of Perth. It first opened its doors to students in January 1995 as Currambine Catholic Primary School. Due to the delay in settling the land purchase, the 120 students from Pre-Primary to Year 2, together with staff, began school in demountable classrooms at St Simon Peter School in Ocean Reef. It was not until October 1995 that the school moved to Peterborough Drive where it is now situated. Francis Jordan Catholic School grew rapidly under the leadership of Foundation Principal, Mrs Sue Groves. Today there are approximately 500 students in 2 streams from Pre-Kindergarten to Year 6. 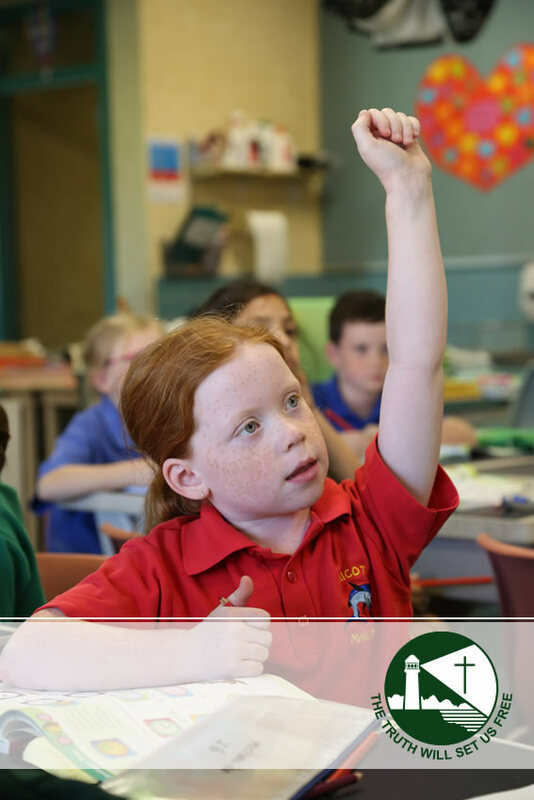 The first 2 Stages of Currambine Catholic Primary were officially blessed by Archbishop Hickey and opened by Mrs Therese Temby, Director of Catholic Education, in November 1997 and the latter two stages were blessed by Bishop Healy and opened by Mrs Temby in November 2001. A new school hall and library were opened in 2010 with the former library being converted into a computer laboratory and other teaching spaces to support the school’s curriculum. In 2012 Archbishop Hickey gave approval for the school to change its name to Francis Jordan Catholic School as of 1 January 2013. The school now enrols students from Pre-Kindergarten (where students must have turned three years of age before being accepted for enrolment) to Year 6. The school vision is for children to thrive by nurturing a passion for learning and excellence. This is achieved, not only through a strong academic and Religious Education program, but also through comprehensive extra curricula programs where all talents are valued and nurtured. The school community developed a very detailed Information Technology Plan, which has come to fruition with the help of State Government funding and P & F contributions. Library & Technology lessons are used in tandem from Pre-Primary classes to Year 6, in order to develop student’s research skills. Other specialist programmes operating throughout the school include – Indonesian, Physical Education, Learning Support, Academic Extension Education and Music. Francis Jordan Catholic School is well known throughout the community for its Music programme which features instrumental music (both individual and ensembles), two concert bands, a recorder group and choirs. Liturgical movement and dance groups complete the performing arts offerings at the school. The school is involved in the Catholic Schools Performing Arts Festival each year and has won a number of awards in recent years. The school also has a well-established Gifted and Talented Programme which has seen students perform successfully in a range of activities and competitions. In the spirit of Fr Francis Jordan, after whom the school is named, we seek to make Jesus and His teachings known to our students and our community. We hope to develop in our students a deep trust in God, a spirit of prayer, devotion to Mary and the courage to follow Jesus. In order to nurture this, liturgical celebrations form a critical component of the school’s prayer life.